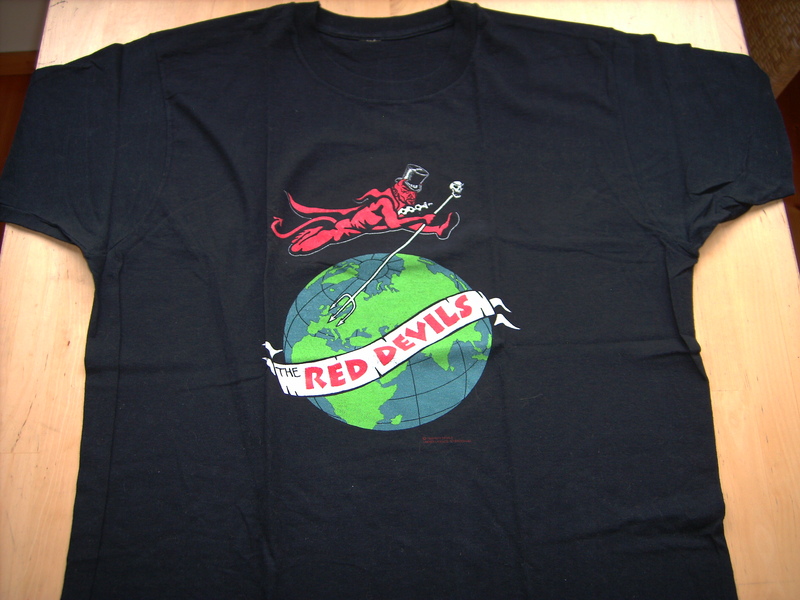 Posted in 13, lester butler, red devils with tags black, feelgood, lester butler, netherlands, planet hollywood, t-shirts, tour on August 8, 2010 by J.J. 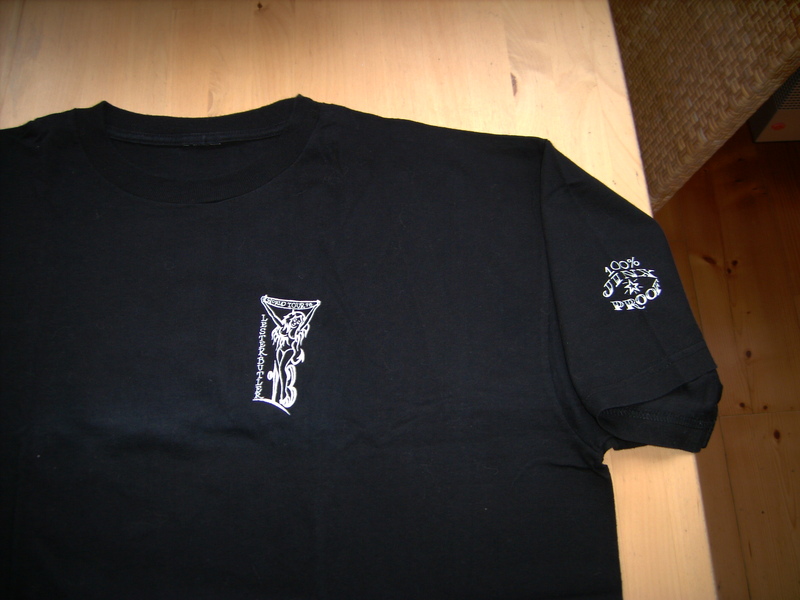 There is no better way to show your devotion to a band than a concert T-shirt. 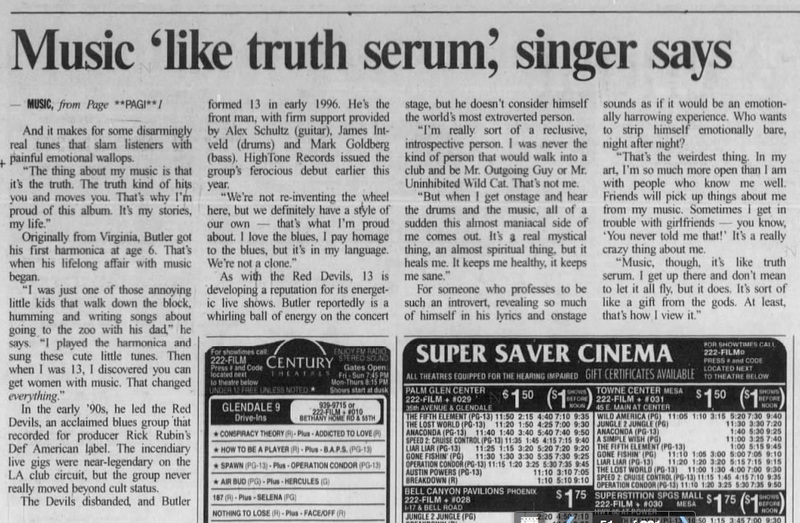 Unfortunately, there are very few options for The Red Devils or 13; when we saw 13 on tour in the Midwest in 1997, they really had no merch to speak of (and unfortunately, the Devils’ 1992 tour is something of a blur almost two decades later). Nofightin.com reader Feelgood sent us some images of the handful of tees out there. 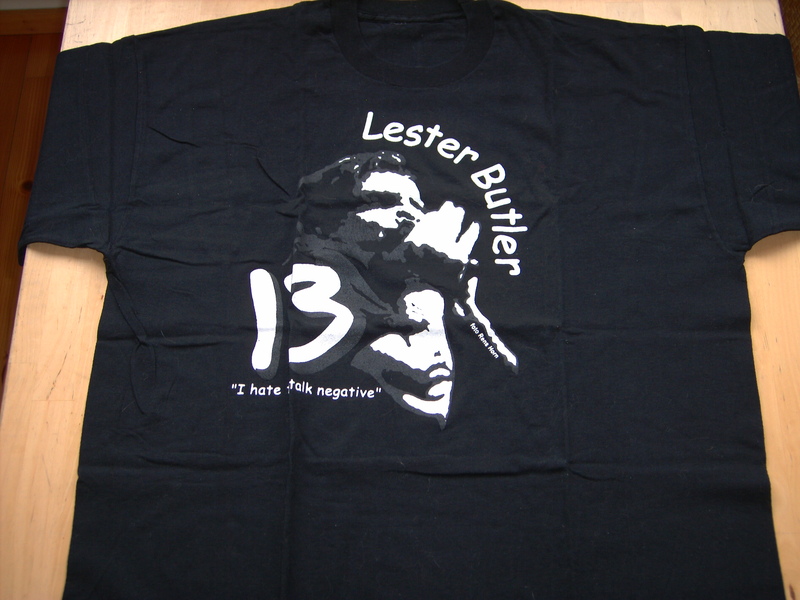 Jasper Heikens has more T-shirt images and info on the Lester Butler tribute page. Posted in 13 with tags 13, alex schultz, hightone, james intveld, lester butler, mark goldberg, tahiti, tour on April 18, 2010 by J.J. 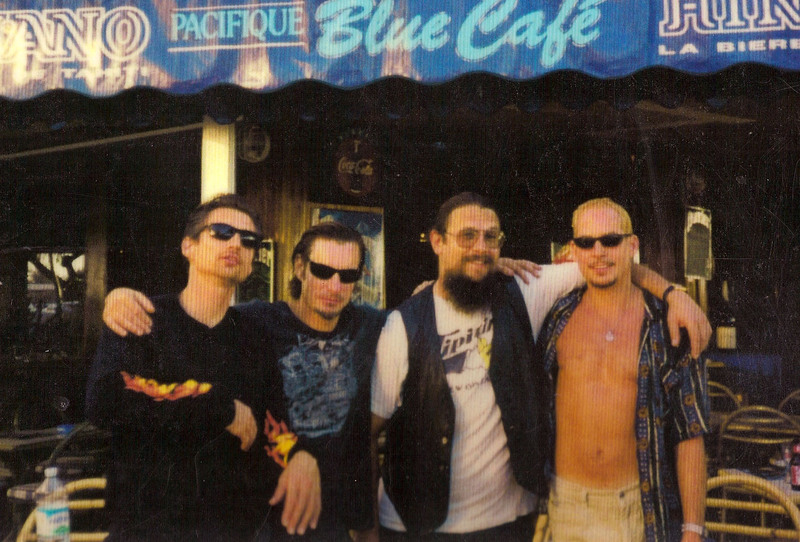 Thanks as always to our pal Vince Jordan for providing great photos, including this picture of the touring version of 13, James Intveld, left, on drums, Lester Butler, bassist Mark Goldberg and guitarist Alex Schultz (photographer unknown), outside the Blue Cafe in Tahiti, probably 1997. “Music is a hypnotic thing — it kind of puts you in this state and it just comes out,” confesses lead singer/harp man extraordinaire Lester Butler of Los Angeles-based 13, in attempting to describe the creative process that fuels the visceral, edgy sound of the band and its self-titled debut on HighTone Records. For the brand of blues that Lester and his mates are creating is not that by-the-book, note-for-note recreations of the usual cast of characters; but rather a living, breathing force of energy that effectively captures both the spirit and intent of what makes this music so special. 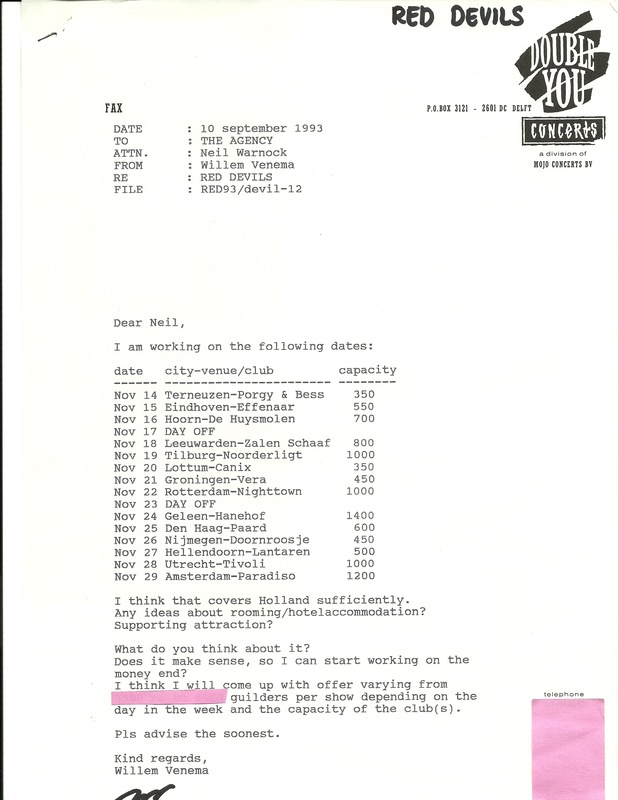 And that’s the only way Butler knows how to do it.